I couldn’t emphasize better how important it is to wash make up brushes regularly. 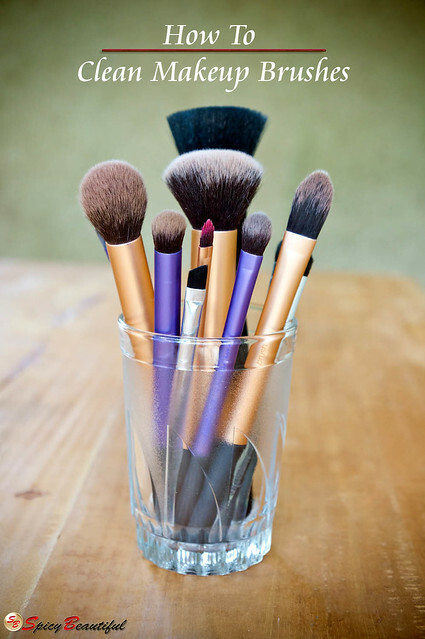 Cleaning makeup brushes is the best way to condition their bristles for smooth makeup application. It is also, the best way to extend their lives significantly. All kinds of cosmetic products, dead skin cells, sweat and oil easily clings to makeup brushes and if they are not cleaned, they instantly become a breeding ground for bacteria. 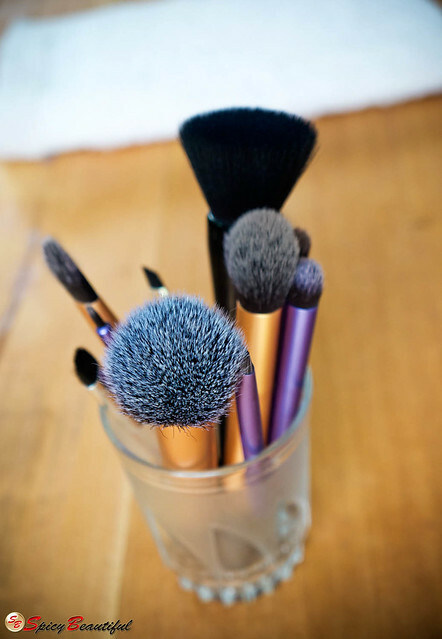 Using a dirty makeup brush on your face can pose serious threats to your skin. I’m talking about acne and pimple breakouts, rashes, pore congestion – should I go on? 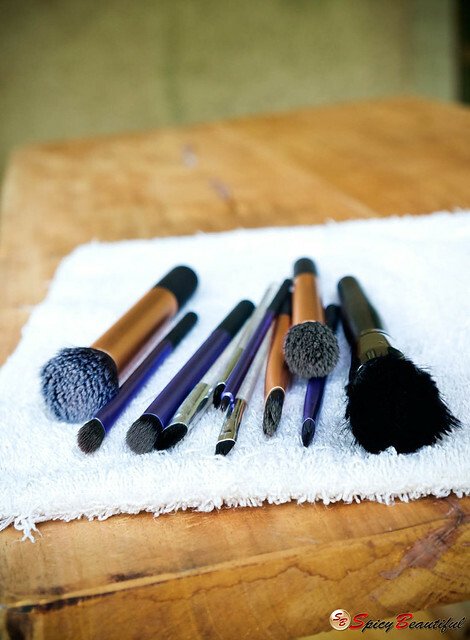 The easiest way to clean makeup brushes is to use commercial makeup brush cleansers. 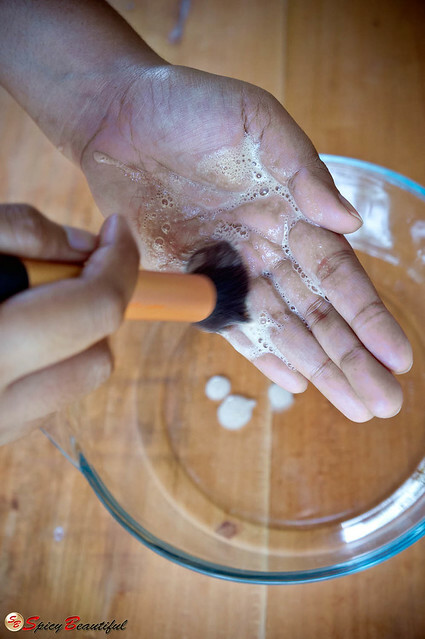 Most makeup brush cleansers can really burn a hole in your pocket so if you’re looking for a cheaper or a more affordable way of washing and caring your brushes, continue reading this post. 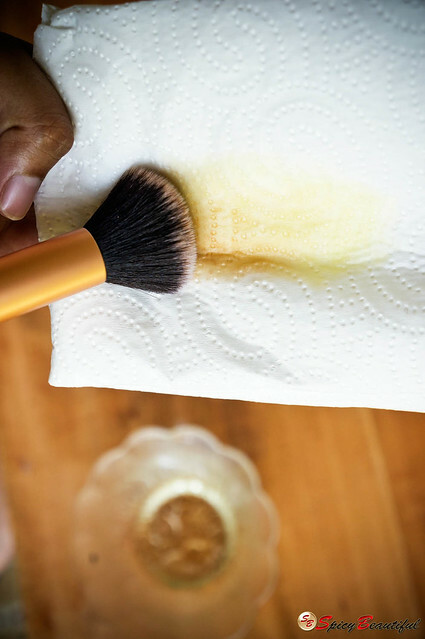 I’m going to show you how you can keep your makeup brushes clean by simply reaching out to a couple of items that you may already have in your kitchen and bathroom – olive oil and shampoo. Ready? Let’s get started! STEP 1: Take out all your dirty makeup brushes. Here are the dirty makeup brushes I gathered from my vanity this morning. STEP 2: I have this bottle of baby shampoo for the sole purpose of washing my makeup brushes and as you can see, it’s almost empty! If there’s a baby in your house, chances are, you already have baby shampoo in the bathroom – lucky you. Also, get at least ¼ cup of olive oil from the kitchen. You will definitely need more if you’re going to wash relatively big and dense face brushes. 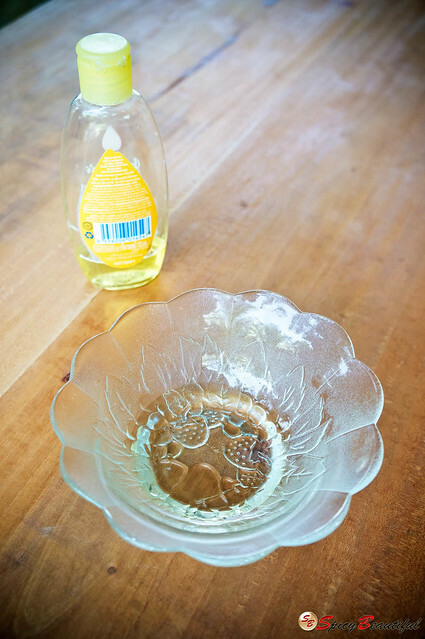 STEP 3: Pour a quarter-size amount of olive oil into a tissue paper. 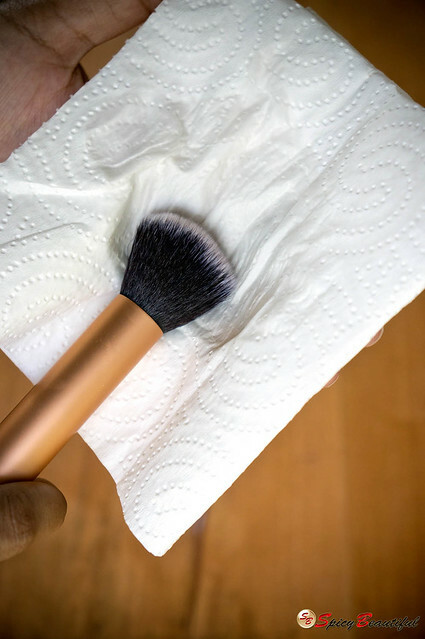 STEP 4: Get one of your dirty makeup brushes and gently wipe the brush head against tissue paper in a back and forth motion as if you’re painting a blank canvas. 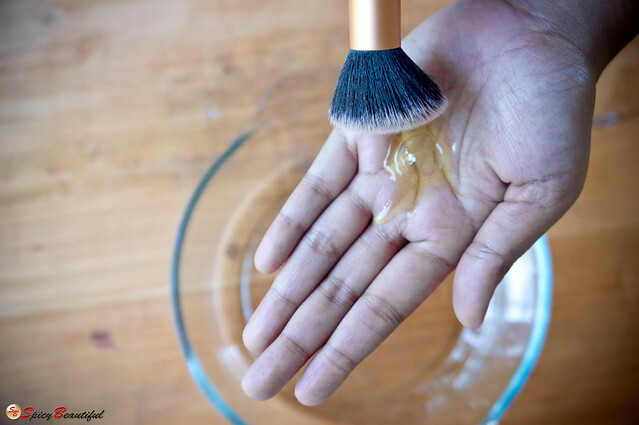 As you can see, the olive oil helps break down all the nasty residues and impurities trapped in this face brush. STEP 5: Squirt some baby shampoo on your hand. 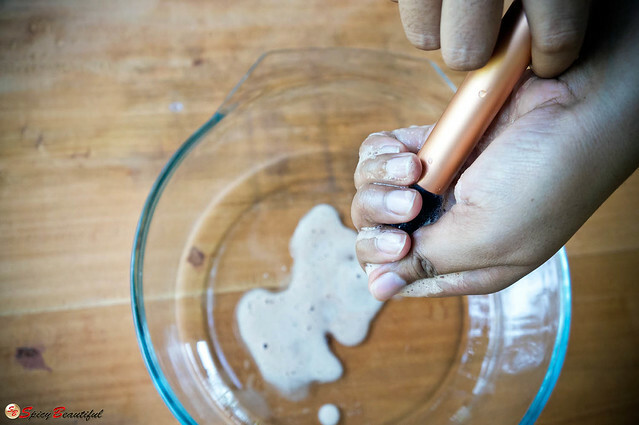 STEP 6: Wet your brush with water and swish it into the shampoo on your hand to create a lather. This will help remove the rest of the remaining product build-up and impurities clinging on the bristles. STEP 7: Give the brush head a tender squeeze to remove water and shampoo suds. STEP 8: We’re almost finished. Rinse the brush with running water until it runs clear. 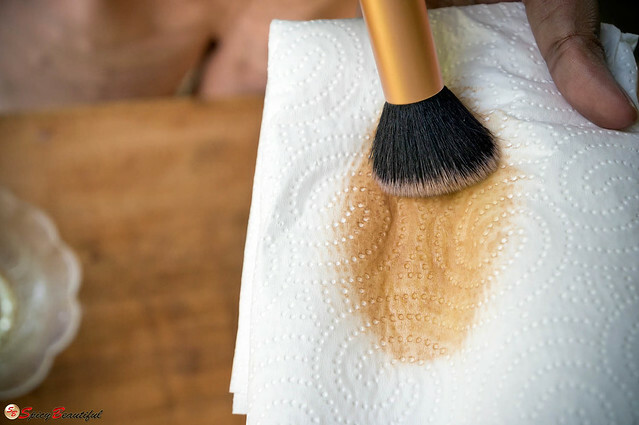 STEP 9: Get a paper towel and blot excess water from your makeup brush. STEP 10: On a clean, dry towel, lay all the brushes at a slightly downward angle to prevent the water from getting inside the ferrule which can weaken the adhesive securing all the bristles together. Let the brushes air dry overnight. Viola! You now have clean makeup brushes waiting for their next makeup application challenge. Thank you for that wonderful blog post. very informative and helpful, i'm looking forward for your next post. Fantastic method! I clean my brushes with homemade detergent instead of baby shampoo. It works! I am trying to wash them once per week. I know it is recommended to clean them every day but it is impossible for me. Greetings! Excellent information! I'm going to try some of the products.Very helpful post thanks for the info. 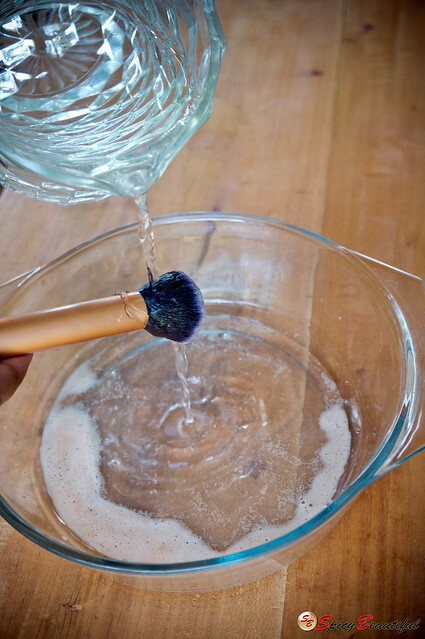 This is one of the best way to clean makeup brushes. Cleanliness is really essential in makeup artistry. I need to master this skill to become like http://reapinpin.com/.